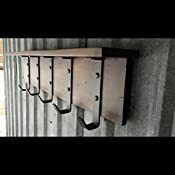 Rustic Industrial coat shelf with hand forged steel hooks. 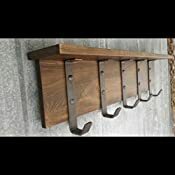 This shelf is perfect for an entry way to store coats, hats, scarves, etc. 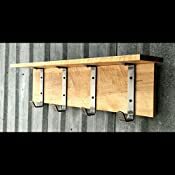 It has a rustic yet refined quality that compliments any style. Finish is protected by three coats of matte lacquer. 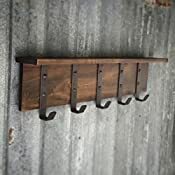 The hooks are industrial steel and retain their natural color with three coats of matte lacquer as well. 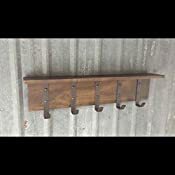 Measures 44" wide x 12" high x 6" deep. 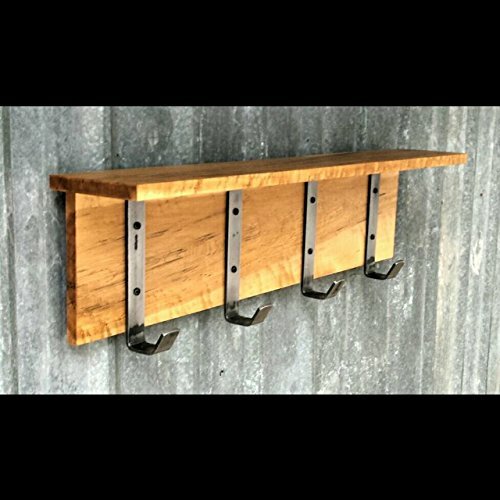 Includes all hardware to mount on your wall.